SALE! Limited Time only. Autism Awareness vermeil (sterling silver coated with 10 kt. 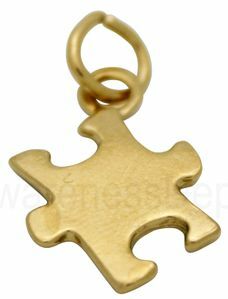 gold) puzzle charm. Slides onto any standard chain. It is a wonderful way to show your support. Size 1" x 1" Classic autism puzzle design.